I hate to admit it, but by the time we reached Vienna, I was pretty burnt out. As the half-way point in our trip, I feel like I didn’t give Vienna a proper chance. It wasn’t that I didn’t like the city, but it just seemed to be missing that special something. Looking back I really can’t find any fault but my own. I guess I was just tired. I was sick of moving to a new hotel every day and really just needed to slow down. We had three days in Vienna but for the majority of that time I just wanted to sit on a park bench and do absolutely nothing. Luckily, Vienna has amazing hotels. Need tips on where to stay in Vienna? That’s not to say I didn’t explore the city at all– because of course I did, but if I could, I’d do Vienna all over again. And properly. Like I said before, I was sick of moving from hotel to hotel. We found the hotels in Vienna to be expensive, and next time I’ll be looking for a quaint apartment to rent instead. There are plenty of options to choose from; plus, apartment rentals are just a better value and more relaxed. Seeing as I didn’t really care for Vienna as a tourist, I think I’d love exploring it more like a local! One of my favorite things in all of Vienna was the Nachtsmarkt. What can I say? I’m a sucker for markets! With over 100 vendors and stalls, this is one of the area’s biggest markets and oldest– dating back to the 16th century. Filled with exotic fruits and spices galore, I almost felt like I was walking through the markets of Turkey or Morocco. We almost didn’t make it here. Oh how sad I would have been! Bags in tow, we made a quick stop here before hopping on our overnight train to Venice. Because we were short on time, we only stayed an hour, but you could easily spend all day here. With our amount of time we didn’t even get to go inside the palace, but the gardens were worth the trip alone. 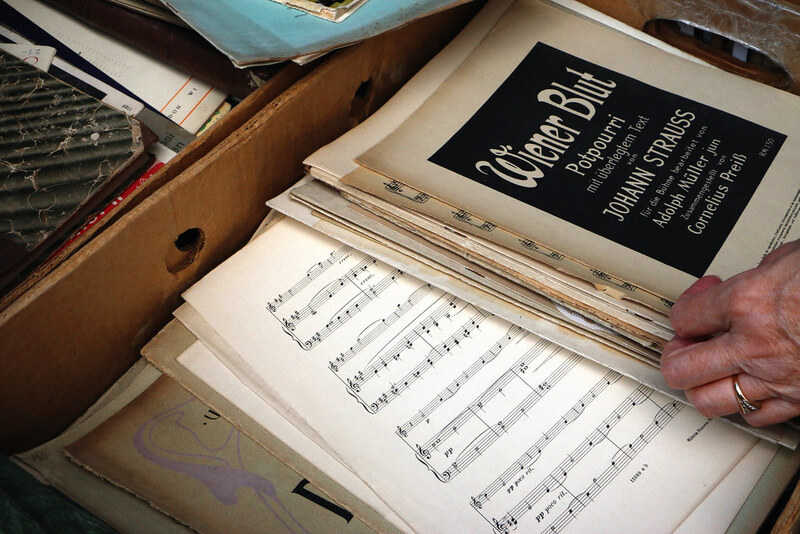 Vienna is known for its history of music and its amazingly talented philharmonic. Unfortunately, they don’t perform at all in summer, and instead people sit out in the park watching past performances played on large viewing screens. We sadly didn’t get to experience that either, but we did encounter lots of street musicians all over the city. 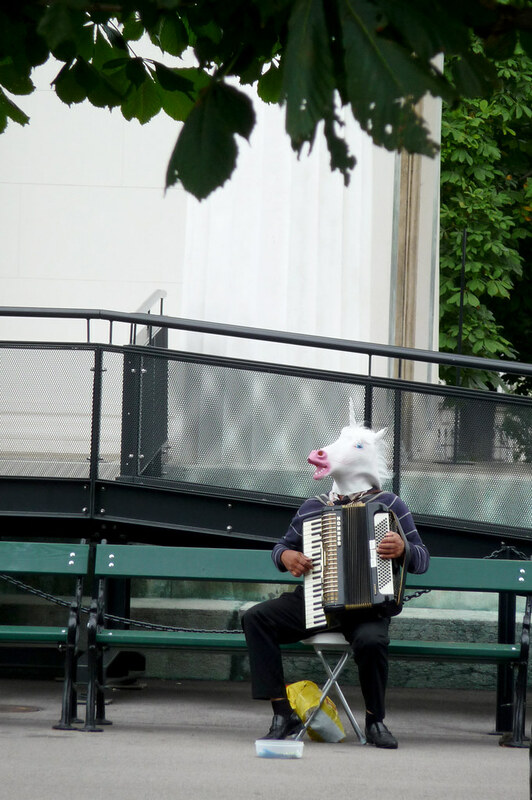 So whether it’s the Vienna Philharmonic or just a unicorn playing the accordion, get out there and listen to some music! With its beautiful, multi-colored roof, this Cathedral has become one of the most recognizable symbols of Vienna. It is considered the country’s most important (and impressive) gothic building, and as such it draws tourists from all over. If you’d like to get a good look inside before it gets too crowded or you’d like to climb its 343-step tower, make sure to arrive early. Established in 1786, Demel is one of the most prestigious patisseries and chocolatiers in Vienna. Of course, no trip to Vienna is complete without indulging in desserts, so you might as well do so in style. With so many delicious looking cakes and tortes in their window, it was hard to choose just one! 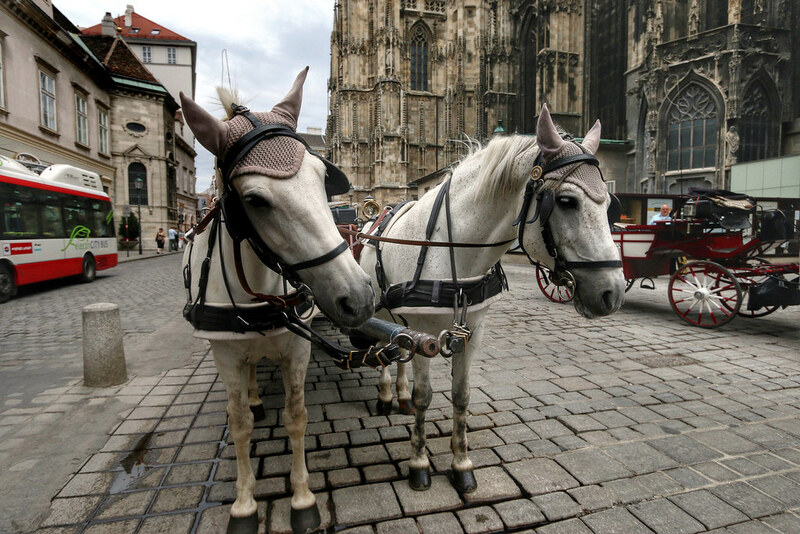 Vienna is rich with architecture originating from all different time periods. The city is home to over 1,700 bridges and even more statues. Every time we turned the corner I continually found myself reaching for my camera. I found it to be, from an architectural standpoint, one of the most picturesque cities in Europe. Vienna is a lot bigger than I thought it would be, and after running around, we were tired. As we were wandering through the touristy areas, we kept seeing horse-drawn carriages passing by. So if you’re looking for a more leisurely way to explore the city, consider this! Of course there is plenty to do IN Vienna, but it also makes a great hub for day trips nearby. During our trip, we had the pleasure of sailing down the Danube to Bratislava for a day and also got to explore the Sound of Music in Salzburg. 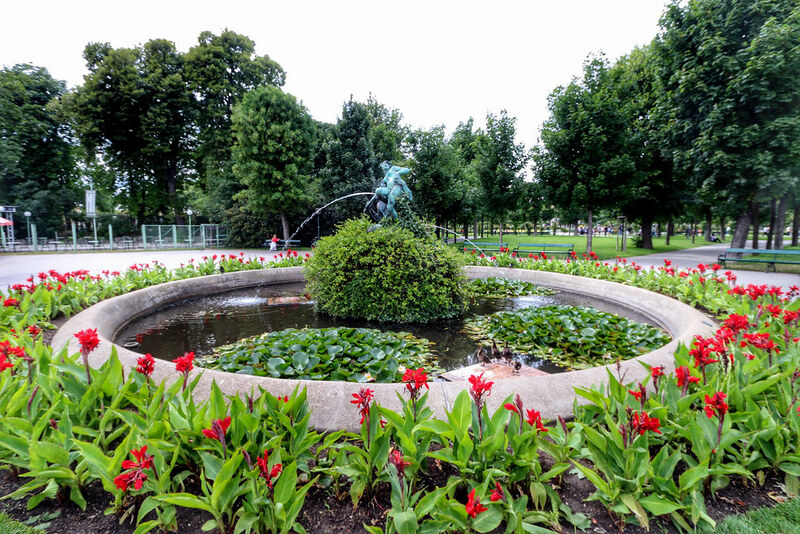 Vienna is such a beautiful city filled with green spaces and parks. All the ones we wandered through were meticulously manicured and filled with flowers. Taking some time to actually stop and smell the roses, especially when we needed a break from tourist activities, was perfect. So this might actually be number eleven– but who’s counting? Especially when it comes to desserts! Have you been to Vienna? What are your favorite things to do there? I would love to visit Vienna someday! Sounds like a great list of things to do there! There’s so much to do! Especially if you go in spring or fall. Vienna has beautiful architecture! Some of my favorite in all of Europe. Pinning! Vienna is on my list of places I want to travel so I am saving this for later. Thanks for pinning! Vienna is beautiful! I would definitely love to go to the place one of these days – I have to tell my mom all about it.. she’ll love it there for sure! Vienna is a great city! I took my mother there actually and she really loved it. Oh there are so many things to do when you’re in Vienna. I hope I can visit it someday. Aww man I would love to go to Vienna. I want to travel so much but I have to wait until my kids get older. Yeah, I can imagine traveling with children would be difficult– but I do know many who do it. It would be great to show them other parts of the world! Haha, the market was so great though! But yes, very tiring!! This looks like some great tips. I will have to try them when I get out to Vienna one day. Yes! I hope you make it there. It’s also very easy to visit other parts of Europe from there as well. I have never been to Vienna before. It looks like such a beautiful place to visit. I will have to do some more research on Vienna. You should! It’s a fascinating city. I think Vienna is absolutely beautiful. It’s one of the most beautiful cities I’ve ever visited, with an amazing amount to do, and also the most fantastic cakes. I’m glad it won you over…. The architecture in Europe is definitely something that is a must-see. I would love to visit Vienna someday – if I get lucky to win the lottery. LOL. It’s actually much more affordable than people may think– especially with the Euro now dropping. Oh flowers! I miss the sight of flowers and grass, that garden looks like a beautiful place to go for a walk right now! That’s how I felt living in Hong Kong!! I really missed seeing grass, haha. That’s awesome!! Since you’ve wanted to go so long I really hope you make it there soon! Of all the places I visited while living in Europe, this one I missed! I totally regret it now! Aw, I hope you get to go back someday! That’s so awesome you lived in Europe– where abouts? “Established in 1786, Demel ” Any place like that is a dream come true for me. I would love to visit places and travel more of the world someday. I hope you get to travel more in the future! I have always wanted to explore Vienna and all of Europe. The desserts sound so good. Save me one! I hope you get the chance to go someday! It is my DREAM to go to Vienna!!! I really loved this post and now I really want to spend all of my money and go haha! This is wonderful – saving this post in one of my Flipboard mags! I am toying with the idea of renting an apartment in my next trip ( it’ll be in Osaka ) … it seems like it’s the way to go because it’s convenient and would really give me that ‘local’ experience. It is prolly super safe in Vienna. 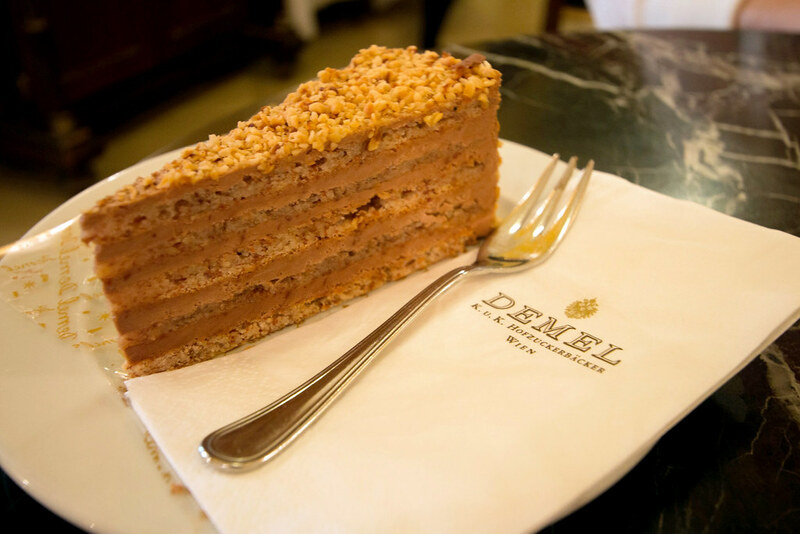 I’m definitely going to try Demel. I keep hearing about Flipboard… what is it?! Also, Osaka would be a great place to rent an apartment! I’m sorry you didn’t get to enjoy Vienna on your way through, but I probably wouldn’t have either given the circumstances. If I’m able to go one day, I hope to be able to scroll through the local market. Going through market places has always been a favorite pass time. Wandering through markets is my all time favorite! I’d love to go back to Austria! Even the supermarket is a tourist spot, right? It was very lovely! I hope you get the chance to go. 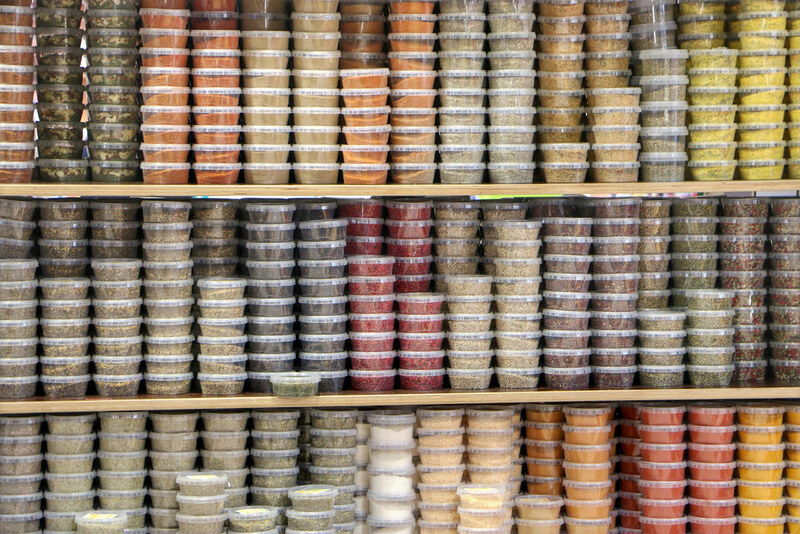 That market looks so insane, all those spices!? How could you even decide? I know, right? I don’t think I even knew what half of them were! Wow. Vienna looks so beautiful (not to mention that cake)! I will have to add it to my “to visit” list! Vienna had the best desserts ever! Such loveliness! Your posts always provoke my wanderlust! This looks like such a phenomenal experience! The sights and the cuisine look wonderful! Vienna was a fun city. I hope to revisit it so I can enjoy it more next time around! I would absolutely enjoy a trip to Vienna. I could make sure to try as many different things as I could fit in my schedule. I’m sure you’d have an excellent time! Oh how I would LOVE to visit and explore Vienna. How amazing. This is a great post. I’ll have to remember if I ever get there! I hope you make it there! The cathedral would be a huge draw for me – I would love that. But the markets, I might not even come out of! How exciting, I love shopping in market places! I’ve always wanted to visit there. Your information has made my mind up to book sooner than later. I’m looking forward to a wonderful vacation there. I’d love to visit Austria. From the buildings to the pavers, the architecture is just amazing. It’s so beautiful! It was a lot more beautiful than I expected! We took a horse and carriage ride when we visited Jejudo in South Korea and it was fun! I ride of the same in Vienna would be nice! That sounds so fun! I’ve never been on a horse and carriage ride. Vienna looks gorgeous! I’d love to visit and see all the lovely architecture. Thanks! The architecture was simply stunning! I would love to go to Vienna. My aunt and uncle go every year and they say it’s fabulous. Jealous that they get to go so often!